With the new system upon us, why not have a place to show off creativity/insanity as well as discuss themes or styles we're going for? So let's do just that. I'll start. As I love Eastern culture, most of my combos will revolve around the Eastern themed pieces. As of now i'm thinking of a combination with the Samurai Armor, and some other odds and ends. I'm looking forward to million ways to dress up the 'fros. No more reindeer antler headband getting in the way! 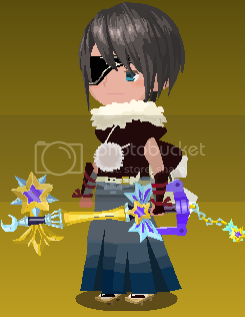 I'll post a pic of my Avatar's look after the update comes through, ya'll should do the same. Oh I intend to. Hopefully most of the board does. Mhm, it would be nice to see what everyone comes up with. Thanks for the thread Quartz! For some ground rules, let's keep all conversations here related to avatar. I won't mind discussions like how tough it is to obtain the current avatar, etc. And there's no need to edit all your avatar picture into 1 post (you can if you want to), but try not to double post. Daggers obviously. I think i will keep my dagger as basis for most of my costumes. Together with that space costume. The tabs from the left are: Set, Clothe, Accessory, Hairstyle, Hair Color, Facial Expression, Skin Color. Under Set, you can select to equip the full set of avatar. If you do not possess the clothe/hair part of it, only the part you have will be equipped. Under Clothe, is where you can equip your usual body costume. Under Accessory, there is a drop-box at the middle bottom for filtering purposes. All of the customization lies on the Clothe and Accessory tab. 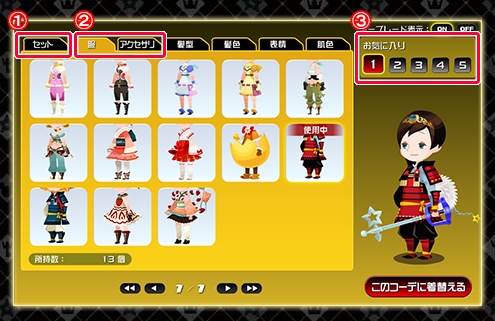 You first select the main costume you want to wear, than change/add-on the accessories to your costume. *You can only equip 1 accessory on each body part. The maximum accessories you can equip is 5. *Some of the avatar parts have the word "SET" beside it. Equipping it will take up a body part accessory. For example, if you equip the Easter Bunny costume, you cannot change your Hand part. *In the Charge Shop, you can purchase an item to permanently increase the number of favorites you can save. It will cost 100 Charge Munny for each favorite slot, 400 in total to unlock all. 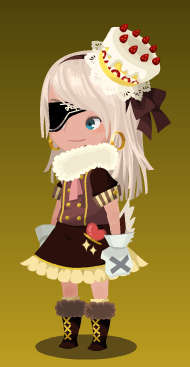 Great, why did I spent my Charge Munny on the stupid box with the Larxene cards? Other than that I think the system looks pretty great, I'll post mine when I come home. 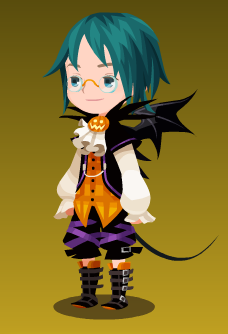 This will be my default costume. But I'll wear the new valentine one now. 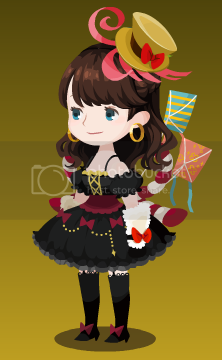 my mistake i thougt in moogle shop was a accesory slot.. That's an avatar slot, so you can save some design of you customize design.. 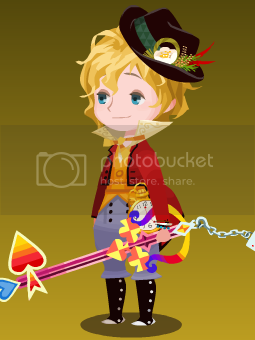 Overall you can add up to 5 unique accesory from hat, gloves, tie, tail and etc. God, this is so much fun. Here's my default from here on. I added a smaller bow, different arm guards, a plush neck scarf, and a separate and totally unneeded belt because reasons, that's why. I change it all the time haha ~ Guess I'll stick with that one for a while. 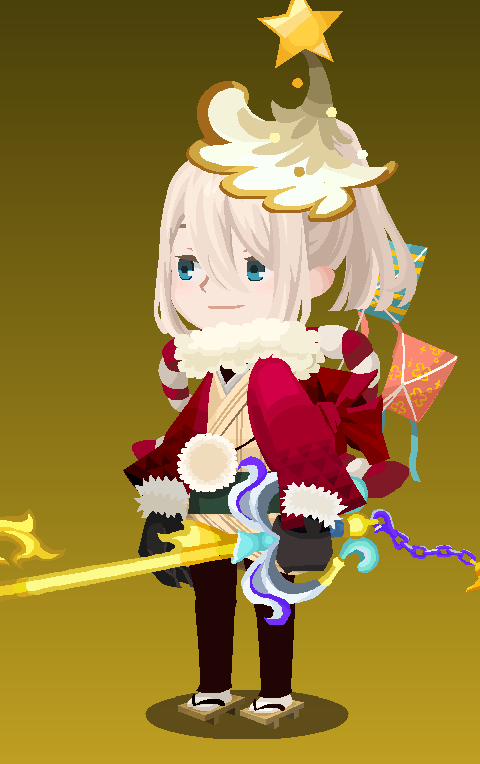 The customization is fun,different from what I had expected but fun,nonetheless. Been using the Chip n Dale Costume for ever now. Love it so much. Now I can have a bag and an extra sword! We should start a fashion contest haha.